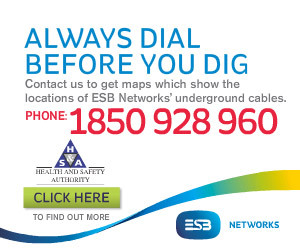 EuroBlue Ltd. has quickly established itself as Ireland’s premier manufacturer and supplier of AdBlue®. We popped into their state-of-the-art production plant in Clonroche, County Wexford and caught up with director Edward Galavan to find out more about this progressive operation. 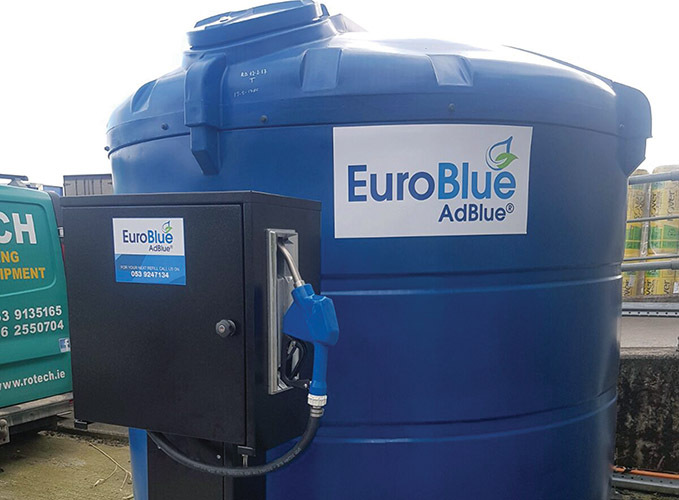 Established little over 18 months ago by brothers Edward and John Galavan, EuroBlue is a 100% Irish-owned and -managed operation offering complete AdBlue solutions to operators of SCR diesel vehicles. As a fully-certified manufacturer and distributor of AdBlue (licensed by the Verband der Automobilindustrie (VDA)), they offer motorists nationwide the highest-quality and best-priced AdBlue on the market. EuroBlue manufactures its AdBlue in a brand-new, purpose-built, state-of-the-art production plant near Enniscorthy in Wexford. Using only the highest-spec automotive grade urea, all their AdBlue is independently tested and verified prior to release, ensuring that customers receive only the premium ISO 22241 quality product demanded by their vehicle manufacturers. EuroBlue don’t just supply AdBlue. In order to offer customers total satisfaction, they provide a complete AdBlue solutions service to cater for all AdBlue needs, including a complete range of high-quality dispensing and storage equipment. Metered bulk deliveries are available nationwide and a full range of packed options are offered from 1,000-litre drums to 1.5-litre bottles. Although it’s only a relatively new company, EuroBlue continues to grow impressively, securing a rising percentage of an increasing market. With SCR (selective catalytic reduction) systems –a cost-effective and fuel-efficient diesel engine emissions control technology - being used in a growing number of applications, from light and heavy commercial vehicles, buses and coaches, agricultural machinery and construction plant to passenger cars, EuroBlue has an excellent, Irish-manufactured solution to suit vehicle owners and operators in every sector. Reflecting on the genesis of the business, director Edward Galavan notes: “Euroblue achieved its VDA licence in December, 2015 and we started producing and distributing AdBlue across the country in January, 2016. Was it a gamble to step into such a new market? “It was a gamble in so far as, in order to get the licence you have to show that you have everything in place and are capable of doing it exactly as required. I suppose there’s always a risk there in that you have to invest a lot of money in the production plant, and ISO quality systems before you can apply for a licence, and you have no guarantee you will be successful. At the time of writing, EuroBlue had already gained up to 35% of the Irish AdBlue market –an incredible accomplishment within such a short timeframe. And remember, this is a growing share of a growing market! To what does Edward attribute this impressive progress? “Three things –the quality of the product, our service and our price. We are exceptionally strong on all three fronts. The product is verified to be of the highest possible quality while our prices are very keen. On the service front, we offer everything from bulk- metered deliveries, 1000 litre ibcs, 18-litre cans to 1.5-litre and 3.5-litre cans for passenger cars. As we have a large fleet of bulk delivery trucks, we can be in two or three places at once, so we have great capacity when it comes to delivering nationwide and promptly. Dealing directly with large haulage companies such as Musgraves, Perennial Freight and O’Toole’s as well as smaller independent hauliers, EuroBlue also have distribution nationwide through various oil companies and lubricant suppliers. The business is expanding rapidly, having recently taken on two additional men to increase their staff numbers to five. Large volumes of AdBlue are on hand at their production plant all the time, ready for immediate dispatch. “We produce well in advance and have everything here in stock ready for next-day delivery, if necessary,”Edward confirms. “We work with our customers to find, what is the best-possible solution for each individual and we treat everybody the same, whether they want bulk deliveries every month or small quantities. “The market is growing. All commercial vehicles need AdBlue now as well as tractors, loaders, plant and agri machinery and coaches and buses. It’s also going more and more into cars, having started with the larger 3L diesel engines, but it’s going into a lot more passenger cars now. All Audi and Land Rovers are now using it, for example.